When I first started reading blogs it was mainly American sites like 'I Guess I'm Floating' and 'You Aint' No Picasso' that I regularly. 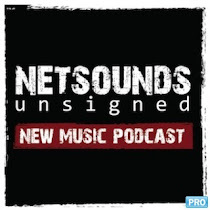 If I'm honest I wasn't too clued up as to what blogs were all about, I just recognised that these guys knew their stuff and consistently managed to introduce me to new up and coming artists from the USA and Canada. I had long since grown disillusioned by the NME and it really did feel as if there were was much out there that I could relate to. Reading blogs helped me to fall in love with music all over again, and played an instrumental role in my passion for Scottish music. It was actually the the Pop Cop blog that helped to play a major part in inspiring me to start my own blog. It still feels pretty odd to me to find myself in a position to be able to call him a contemporary, as I discovered lots of great bands through his site well before Peenko was even a twinkle in my proverbial eye. Although sometimes I must admit that I don't always agree with all of his tastes (seriously Amy MacDonald?!). He's also had the balls to stand up and voice his opinions on the state of Scottish music, in a world where there is a danger of over hyping up and coming bands, he's been able to stand up and point out that not every bands that's being tipped is the best thing since slice bread. We've also had glimpses into his dark twisted sense of humour, check out his 'Are we human or are we Panda?' if you don't believe me. Hello! I run a music website called The Pop Cop. The name came from a pub conversation several years ago with a good friend of mine who later joined the band De Rosa. Who would have thought my music career would have lasted longer than his! We were brainstorming ideas of what to call a music column I had been asked to write and he suggested “The Pop Cop”. My boss was having none of it, though, so I ended up going with something else much more banal. 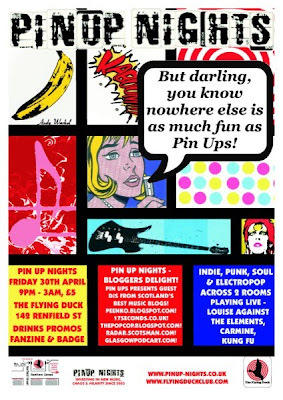 When I began back in 2007, I think my main motivation was to highlight what was happening in the Scottish music scene. Now, though, I just do it for the money. For me personally, you were the first blog that I came across that promoted Scottish music. How do you feel about the number of new bloggers (myself included so be gentle!) that have started popping up over the past few years? I’m all for it. The increasing number of music blogs in Scotland (and those who read them) shows that people are passionate about the Scottish music scene, particularly at an underground level, so that can only be a good thing. I certainly don’t see other bloggers as competition - we’re all trying to do our bit to support the music scene in our own unique ways. 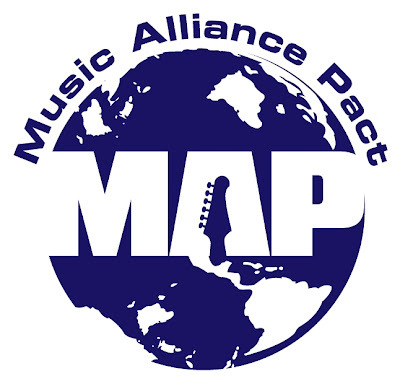 In October, 2008 you established the ‘Music Alliance Pact’, would you care to explain what it is? What was your reasoning for starting it up? The Music Alliance Pact is a very simple concept. I pick my favourite song by a Scottish artist each month. Bloggers from more than 35 other countries also pick their favourite song by an artist from their own country. We pool all those songs together and simultaneously post the whole lot on the 15th of the month on each of our blogs (see April’s edition here). Each song is made available as free mp3 download (with the permission of the artist) so it’s a crafty way to get people all over the world listening to tremendous Scottish bands such as Galleries, Admiral Fallow and Washington Irving. Individual songs typically get downloaded 10,000 times. I came up with the idea of MAP as I was trying to think of a way of getting the best up-and-coming Scottish music into the homes of as many people as possible. Little did I know I would have to get the whole planet involved! Being the busy wee bee that you are, you also have your annual ‘Best Scottish Music Photo’, again what was your inspiration there? Also, how did you manage to get ‘world renowned photographer’ Harry Benson to judge it for you? I’m actually a really big fan of photography and take pretty much all of the photos you’ll see on any live reviews I do. I’m very much at the novice end of the talent scale but I know there are some fantastic gig photographers in Scotland, so I wanted to give them a platform to showcase their work, which is where the competition idea came from. This year I thought it would be great if I could get an expert to judge it, so I made up a fantasy wishlist which genuinely had just one name on it - Harry Benson. So I tracked down an email address for him, made a polite request and, incredibly, he said yes. What have been your personal highlights that have happened because of Pop Cop? There have been lots of highlights but I would have to say that what I'm most proud of is how the blog has developed. It certainly wasn't planned this way, but the content is very much feature and ideas-driven and I really like that as it challenges me to keep thinking in new ways as opposed to just churning out EP reviews. Is there any truth in the rumours that there used to be a Mrs Pop Cop? And is it true that she is now buried under your patio? Tomorrow night sees you having to unveil your identity, do you plan to disguise yourself for the evening? Lastly, what can expect to see on The Pop Cop in the rest of 2010? I'd love to say plenty of great new Scottish music but to be brutally honest, while the local scene is healthy in terms of the number of people who are involved in it in any capacity, the amount of average bands this country produces is stupidly high. I genuinely feel I would be doing a massive disservice to everyone if I was to write about a Scottish act for the sake of it - I need my readers to trust that when I say a new band is worth hearing or going to see live then that really is the case. At the moment, MAP is my main vehicle for doing that simply because Scotland only produces a dozen acts that make me excited in any given year. Anyone who claims there are far more than that number is much less fussy about what music they choose to listen to than I am. Apologies if you were hoping for a happy ending to this interview! If you are out and about in Glasgow tomorrow night (after our gig mind), then you catch the Pop Cop stepping out from behind the mask and DJ-ing at the Flying Duck. He'll be playing alongside my good self, Ed from 17 Seconds, Nick from The Radar and Halina Podcart. Come up and say hi if you get the chance, we don't bite. Actually I don't bite, I can't vouch for the rest of them.